Dine Under the Sea This Summer With a Nautical 4th of July Menu! 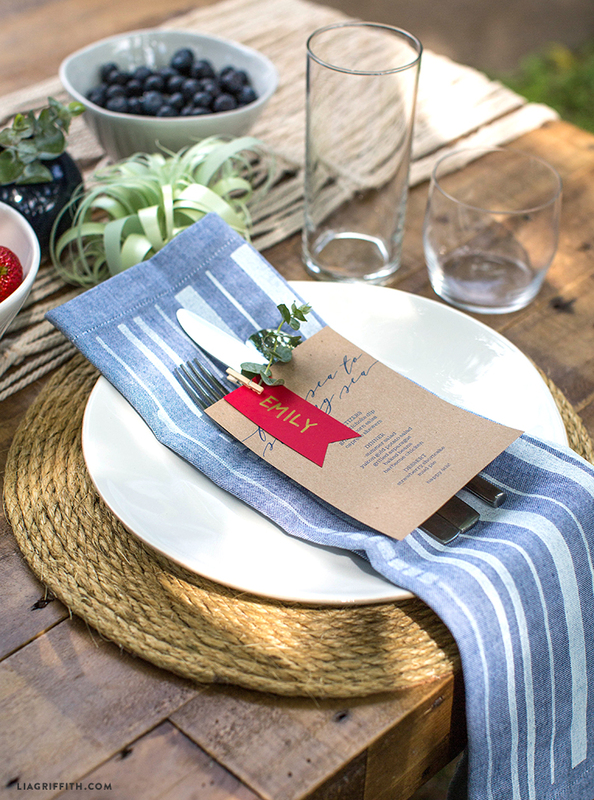 Surf up some summertime vibes with these delightful 4th of July menus! 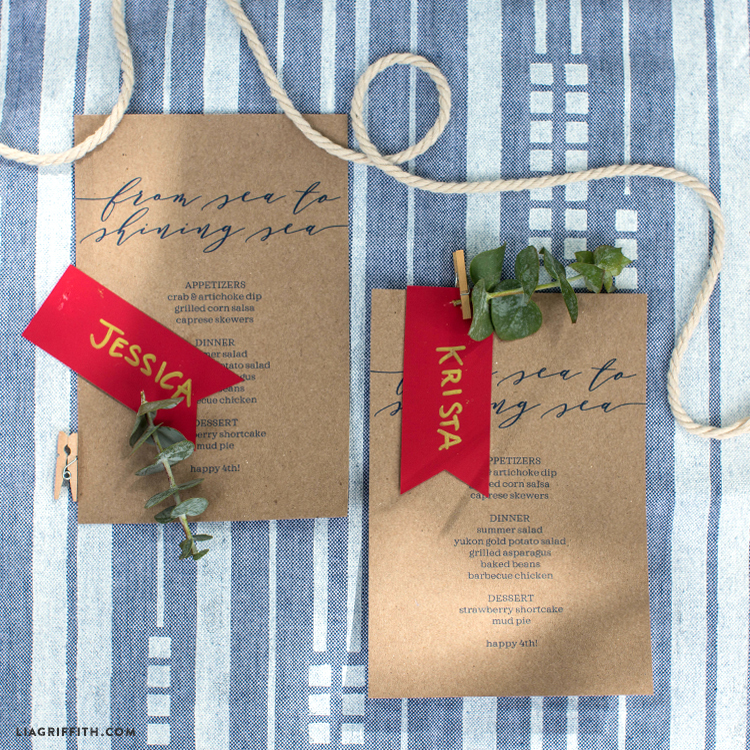 They are nautically themed, to pair wonderfully with your rope table chargers or painted chambray napkins. 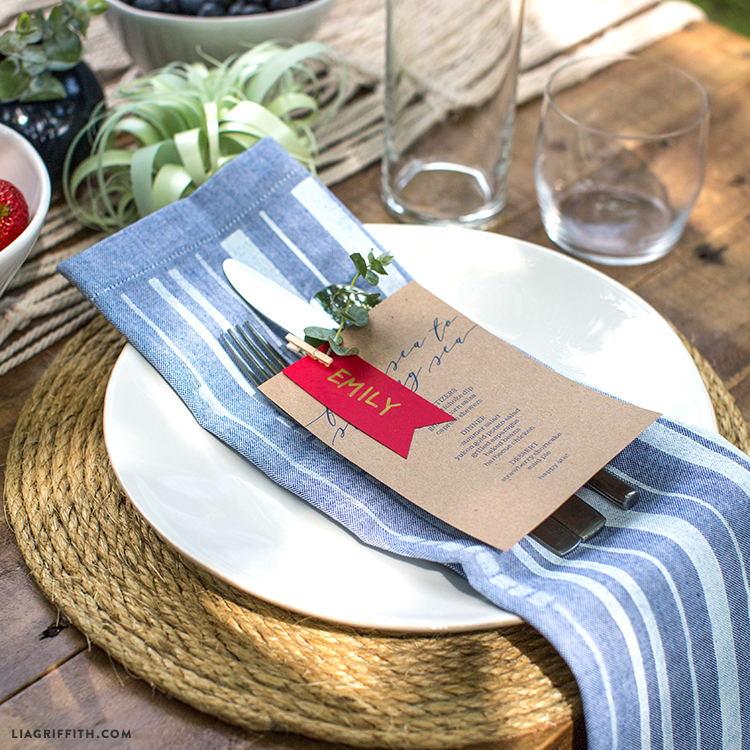 Sure to surprise your guests, this easy project will help you set sail for any summer party! And the best part? We’ve got the tools, materials, and instructions to guide you. All you have to do is gather the tools, materials, and download the editable menu template and flags to get started.